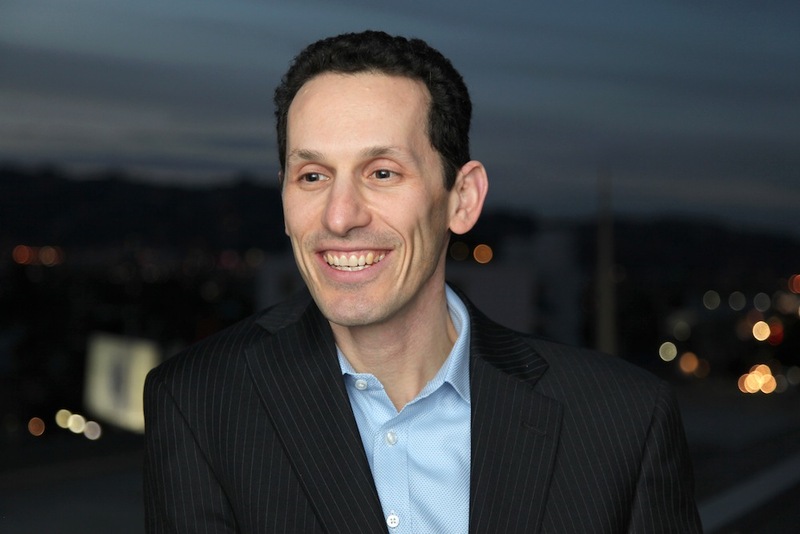 Aaron Kushner is the publisher of the Orange County Register and the new Los Angeles Register. A Georgia native, he previously was founder and CEO of MyMove.com and CEO of Marian Heath Greeting Cards. Before participating in a panel on the future of newspapers in L.A., he discussed the ugliest piece of furniture he owns, finding great Southern food in Southern California, and where he comes up with his best ideas in the Zócalo green room. I don’t know that I have any particular guilty pleasures. Most of my spare time is with our kids. Depends on the month, but right now I drive a Nissan Maxima. It’s just what I happen to have at the moment. Probably Theodore Rex [by Edmund Morris]. Where have you found the best Southern food in Southern California? I haven’t actually found any great Southern food yet in Southern California, if you mean Southern as in Georgia Southern. I much prefer playing volleyball. Not that surfing is bad, but I happen to enjoy volleyball. What’s the ugliest piece of furniture you own? I think my wife probably sold it. She did sell it. It was a purple couch. She still makes fun of me for having it. I actually thought it was fun, Alice-in-Wonderland-esque. Maybe the ability to see into the future.